Thursday, Apr. 18, 2019, 7 – 9 p.m.
Third of three public meetings to discuss proposed alternatives for the operation and management of the EERC. With space proposed in the Gym Annex of the Seminary complex, the St. Edward EERC would provide both classroom space and a launching pad for exploration of the park’s diverse habitats. Previous public meetings have discussed a range of educational activity at the EERC, including school-based field trips, teen mentorship programs, undergraduate and community science, and interpretive programs. At its April 18th meeting, the St. Edward EERC Planning Team will present a set of alternatives for the operation and management of the St. Edward EERC, each offering different program benefits. Local residents, park users, families, and educators are encouraged to discuss the alternatives and provide comment on the benefits each might provide to the park and its surrounding communities. Following its April 18th meeting, the EERC Planning Team will develop a set of recommendations and a proposed business plan to be delivered to the State Parks Commission by June. 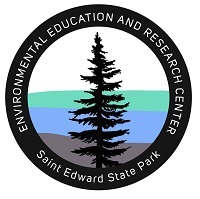 The St. Edward State Park EERC planning process is a joint project of Washington State Parks and the University of Washington-Bothell. For more information, visit www.uwb.edu…. St. Edward is the among the most heavily used of Washington’s state parks. Its forested slopes, undeveloped shoreline, streams and wetlands are home to bats, owls, woodpeckers, deer, and other wildlife. Its trails attract walkers, trail runners and mountain bikers year-round. The former St. Edward Seminary, now listed on the National Registry of Historic Places, is currently under renovation by Daniels Real Estate, LLC, a private development firm specializing in historic preservation. The building will open as an 82-room lodge in 2020, with a portion of the complex repurposed to house the St. Edward Environment and Education Research Center.